The CSIRO has regions for projecting the impact of Climate Change. See https://www.climatechangeinaustralia.gov.au/en/climate-projections/futur... 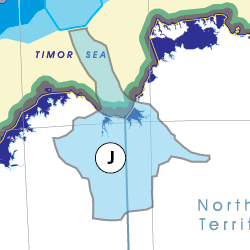 This state, Wyndham State (J), is one of the clear projections in a CSIRO cluster called "Monsoon North region". CSIRO's Monsoon North region coincides exactly with BloggerMe's K,J,H,G,F,E,D,C,AF. The CSIRO has regions for projecting the impact of Climate Change. See https://www.climatechangeinaustralia.gov.au/en/climate-projections/futur... This state Wyndham (J) is one of the clear projections in a CSIRO cluster called "Monsoon North region". CSIRO's Monsoon North region coincides exactly with BloggerMe's K,J,H,G,F,E,D,C,AF. It’s all happening in Kununurra: #NAMF discusses #infrastructure, beef industry, Indigenous jobs&skills, carbon farming and sustainable ag. Transformation underway: $10 m upgrade gives Wyndham port betwn #Darwin & #Broome the capacity to export any ag produce from the region. #Kimberley workforce drives regional growth with $10m upgrade to Kununurra Campus @KimberleyTI opening tomorrow.